Rubber Room Ramblings: STAMP YOURSELF SILLY SUNDAY SCHEDULE! It’s time to relax, enjoy and unwind while you craft in the Rubber Room. 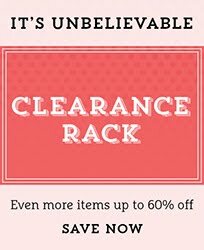 There will be five classes for you to fall in love with, and they all feature new products from the Occasions and/or Sale-a-Bration Catalogs. You can take as many classes as you want, and I know you will REALLY want to take them all. I will provide everything you need for all five classes, a yummy macaroni and cheese bar for lunch, snacks, chocolate, decaf coffee, water and a pleasant, peaceful atmosphere where you can relax and luxuriate in your crafting time. All you need to do is RSVP and bring your adhesive. 1) PICTURE PERFECT PAPER PARTY: Make four cards featuring the fun and sassy Picture Perfect Paper. 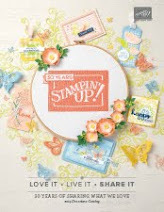 Class fee includes four Picture Perfect Party Classic Stampin’ Spots (Berry Burst, Bermuda Bay, Pekaboo Peach and Pool Party) PLUS a pack of the Picture Perfect Party Designer Series Paper. Class fee is $25 payable when you RSVP, and receive a $5 off coupon for any purchases made January 28th. Need more Birthday cards? Make it a Stamp-a-Stack and double your cards for only $10 more. 2) BUBBLE OVER BLAST: Make four cards and a box to keep them in, all showcasing the wonderful Bubble Over stamp set, framelits and coordinating Sale-a-Bration Designer Series Paper. Class is FREE with a minimum $25 purchase, or you can pay $20 when you RSVP. 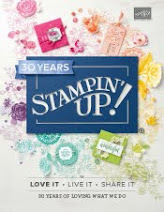 Make it a Stamp-a-Stack and double your cards for FREE with a minimum $50 order AND FREE Sale-a-Bration item; OR $40 payment when you RSVP. 3) CHRIS’S CREATIVE CALENDARS: The Perennial Birthday Kit comes with a gorgeous box, monthly divider tabs and products to make 16 beautiful cards. This kit is the perfect way to get our card-sending needs organized in 2018. PLUS, you will make a card-size desk-top 2018 calendar. Cost of the class is $35 payable when you RSVP, and you will receive a $5 off coupon for any purchases made January 28th. 4) SALE-A-BRATION STAMP-A-STACK: SAB is awesome, and we are going to enjoy some of my favorite FREE SAB items. 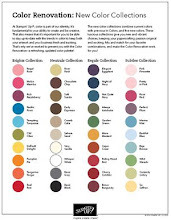 We will make ten cards (2 each of 5 different designs). Class is FREE with a minimum $50 order and FREE Sale-a-Bration item, OR you can pay $40 when you RSVP. 5) LOVE NOTE LUNACY: Make six love notes for Valentine’s Day, Weddings, lunch box surprises… you name it. We all love to feel loved, so let’s make some special cards to help us spread the love. Class is FREE with a minimum $25 order OR pay $20 when you RSVP. Want more? You guessed it, you can spread twice as much love when you make two of each of these 6 cards. That’s a dozen love notes!! Double the fun for a minimum $50 order and one FREE Sale-a-Bration item, OR pay $40 when you RSVP. 1) Monthly Team Gathering (one in Lansing one in Rochester Hills) with stamping and sharing PLUS Facebook live options for our long distance friends! 2) Free business training as part of Ronda Wade's Creating Success training program. Weekly training, PLUS quarterly ONLINE conventions for FREE! 3) Access for FREE to Creative Corner (A creative site with online classes, and hundreds of ideas with directions, tutorials and videos). There are over 1,000 exclusive projects on this site! 10) PLUS, when you join my team during Sale-a-Bration, you automatically earn a spot at my Sale-a-Bration Celebration in May. This is a free day where I will spoil you with prizes and lunch and lots of fun. Our Rubber Room Rambler Team is here to have fun, create, share, learn and inspire each other. in a positive and friendly atmosphere; and I would love to welcome you to our group! CONTACT ME BEFORE MIDNIGHT JANUARY 20, 2018 TO JOIN MY TEAM AND SAVE WHEN YOU RSVP! RSVP BY MIDNIGHT JANUARY 20, 2018 TO SAVE YOUR SPOT!